Do you have a plan travelling Borneo? If you do, you should visit Ensaid Panjang village. This village has a very long house that almost all of its part was made from wood. Ensaid Panjang Long House is located in Kelam Permai Sub District of Sintang District, this house is the only one long house that left in Sintang. It has 130 m length and 15 m wide. 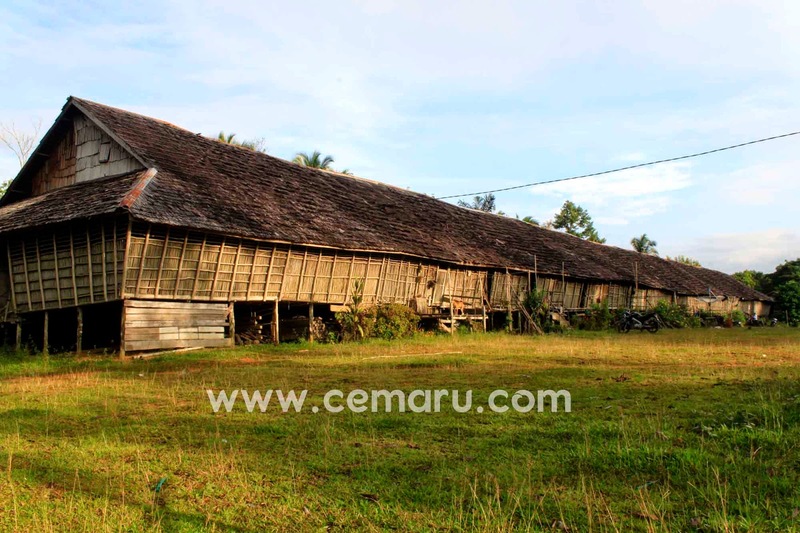 About 30 Dayak Desa family live in this longhouse. Almost all of their daily activities except farming, held on this longhouse. Some of these activities are weaving, handicrafting, pounding rice, socializing or just self-relaxing after worked hard in fields. 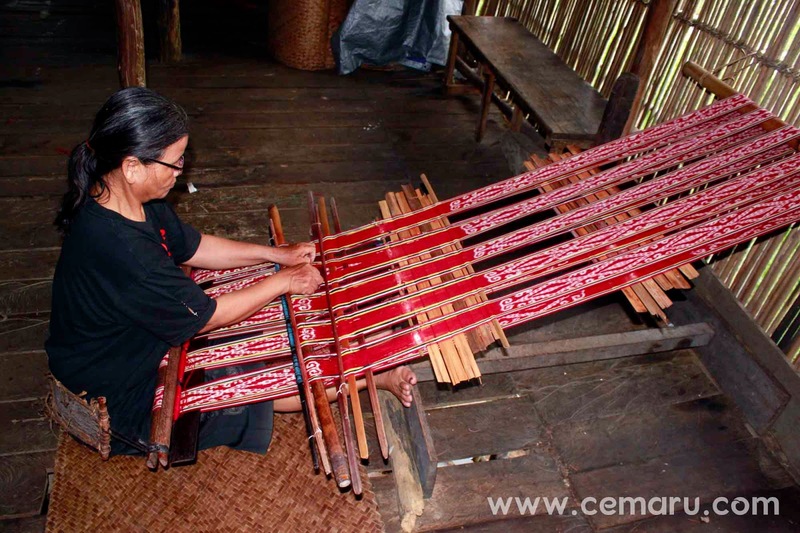 Women in Ensaid Panjang usually do weaving in their leisure time, they did not set a target of how much ikat weaving fabrics must be made per unit time. The uniqueness of ikat weaving in Ensaid Panjang are the patterns and natural dyes. Ensaid Panjang villagers, men and women, also handicrafting rattans and plant leaves (usually plants from Zingiberaceae family) on they leisure time like on week end or rainy day when they can't go to their farm. These handicrafts can be made in form of baskets, mats, resam bracelet and other home furnishers. The main traditional ritual activities in Ensaid Panjang called as Gawai Dayak. This ritual held regularly during holiday season in Indonesia, about June or July every year. This celebration are a thaks-to-Gods ceremony from villagers for great harvest in that year. In this celebration, Ensaid Panjang villagers held feast, traditional dance and other traditional arts. This event usually very crowded because the long house (betang). Community leaders from Sintang also enliven the ceremony as a tribute to Dayak traditions in Ensaid Panjang. In addition, we can also see other traditional rituals such as traditional rituals of marriage, birth, and others activities in Gawai. If you like to see natural tourism attraction, you can see natural borneo rainforests and waterfalls at Rentap hills. You can reach Rentap Hill for about 30 minutes walking from longhouse.